Another key section of the Yeovil Western Corridor improvement scheme is due for completion before Christmas – months earlier than previously advertised. 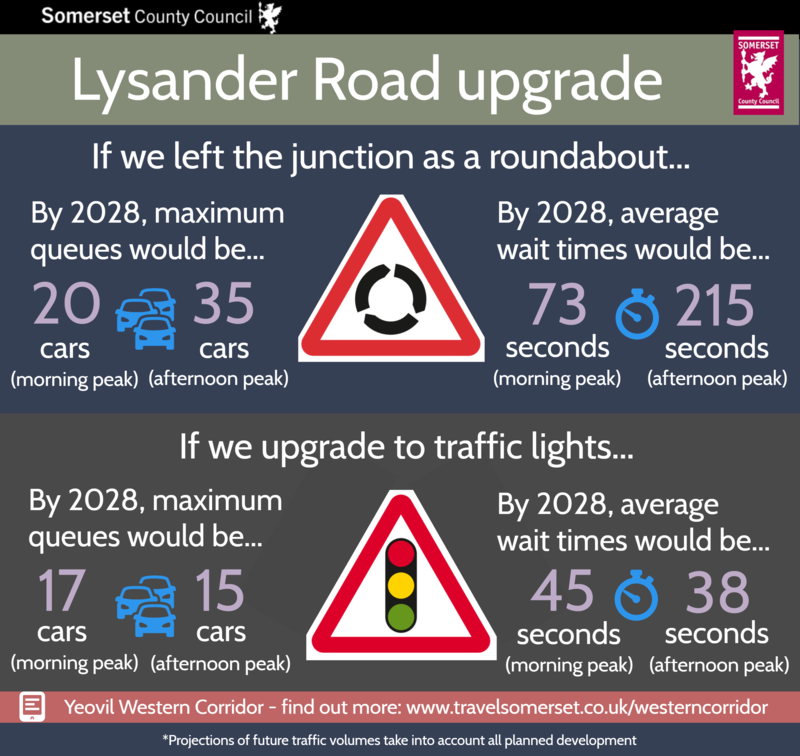 The Western Corridor scheme is a multi-million pound package of improvements by Somerset County Council to increase the capacity of several junctions, reduce congestion and upgrade links for pedestrians and cyclists. It takes into account projected increases in traffic and will also support more than 1,500 homes and 20 hectares of employment land nearby. The upgraded Lysander Road junction is the second major element of the Western Corridor scheme to be completed and has been signalised to improve traffic flow as well as making life much simpler and safer for pedestrians and cyclists. Councillor John Woodman, Somerset County Council’s Cabinet Member for Highways, said: “We all love to hate traffic lights but the science tells us they do have a place and can be far more effective at managing traffic than roundabouts. Attendees at today’s South Somerset District Council’s Area South meeting were updated on the overall Western Corridor scheme which has made excellent progress in recent months thanks to successful overnight working. This work was split into phases and saw 7,500 tonnes of asphalt laid ahead of schedule with minimal impact on the travelling public. By adopting a flexible approach to the scheme, it is now hoped to have all elements completed early in 2019 except for the Preston Road Roundabout which as previously explained will continue until June. This final phase of works has been deliberately extended to reduce the need for more disruptive traffic management. Cllr Woodman added: “There’s been an enormous amount of progress all along the Western Corridor in the last few months but with much of the work being done at night it’s not always obvious how quickly things are moving along. The Lysander junction will be switched on in mid-December with precise timings subject to some final critical works. The exact date will be publicised a few days in advance to avoid confusion. All new junctions are closely monitored over the first few months and traffic lights can be adjusted to ensure they are working as efficiently as possible. 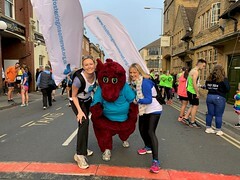 You can read the latest Yeovil Western Corridor newsletters at https://community.alungriffiths.co.uk/projects-in-your-area/yeovil-western-corridor-improvement-scheme/ or follow @TravelSomerset on Twitter for updates. More information on the background to the scheme can be found at www.travelsomerset.co.uk/westerncorridor.